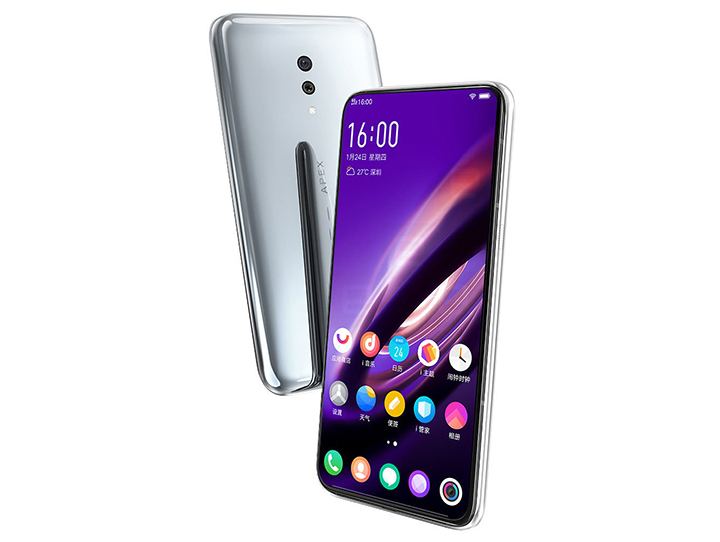 Chinese smartphone player Vivo on Thursday unveiled its “APEX 2019” concept smartphone with full-display fingerprint scanning technology and USB ports replaced by magnetic power connectors — “MagPorts” — that would enable both charging and data transfer. The 5G-compatible smartphone is expected be powered by a Snapdragon 855 chipset and will be available in 256GB and 512GB storage variants with 12GB RAM, equipped with Artificial Intelligent (AI) assistant “Jovi”, the company said in a statement. “Offering consumers a glimpse into the future of smartphone design and development and with ‘super uni-body’ design and full-display fingerprint scanning technology among several other breakthrough features, ‘APEX 2019’ is a truly exceptional smartphone,” said Spark Ni, Senior Vice President, Vivo. The physical buttons on the concept device have been replaced by “Touch Sense” technology that would bring capacitive touch and pressure-sensing technologies together. With carefully designed programming logic and software, the pressure sensors have been designed to tell if a user is pressing the frame and the capacitive touch being able to determine its position, providing extra-sensitive accuracy, the company added. Vivo’s “APEX 2019” has also been designed with the ability of turning its display into a speaker by using “Body SoundCasting” technology. “Body SoundCasting” is a technology that transforms the entire display of the smartphone into a speaker via the screen vibration function, avoiding the need for a speaker grill. Vivo has also tried to solve the challenge of limited motherboard space by using a “Duplex Printed Circuit Board design” that increases the space by 20 per cent, minimise the overall stacking space. With this concept smartphone, the Chinese company aims to pioneer in 5G technology standardisation empowered technologies like AI, Internet of Things (IoT), Augmented Reality (AR) and Virtual Reality (VR). In future, the deep integration of 5G and AI will become key to the development of the 5G smartphone era, the company said. “APEX 2019” will be showcased at the Mobile World Congress (MWC) that is going to be held in Barcelona, Spain in February. Previous articleHas Apple’s Self-Driving Car Hit A Dead End?